It’s the perfect week to get in some last minute writing activities. 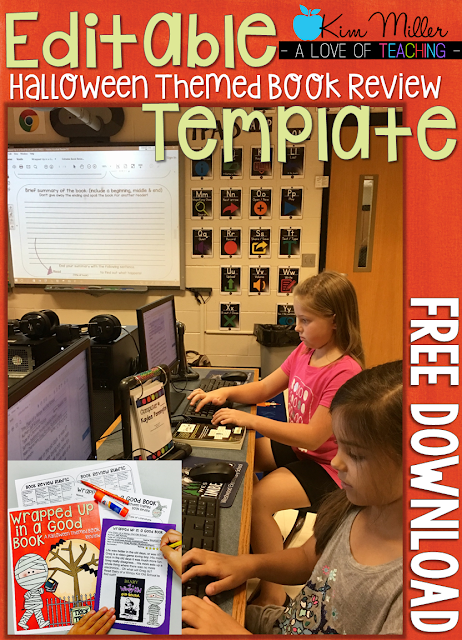 Halloween is coming up next week, and today I have the perfect writing assignment that will “spice” up any book review! You probably have that one lesson you teach every year at this time. 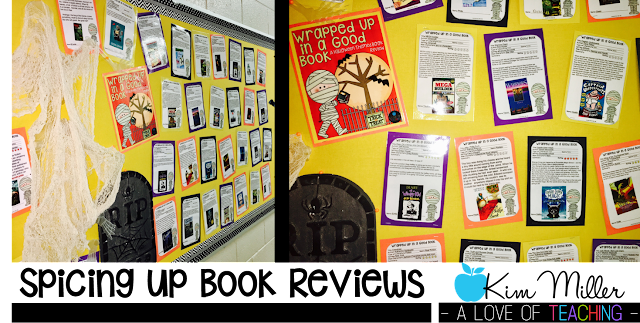 For me, we always write book reviews on our favorite books and display them in the hall for others to see. It is our hope, as a classroom, that we inspire other students to read one (or more) of our favorite books. After that, students use the book review form to write a summary and review of their book. 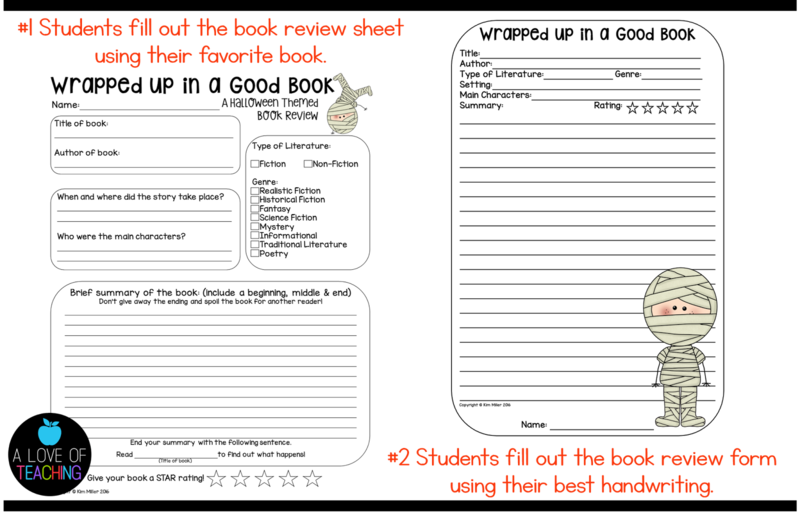 This form includes the same types of questions asked on the book review sheet, so students basically just fill in the blanks (using their *best* handwriting). 2. Back the book review with colored construction paper. 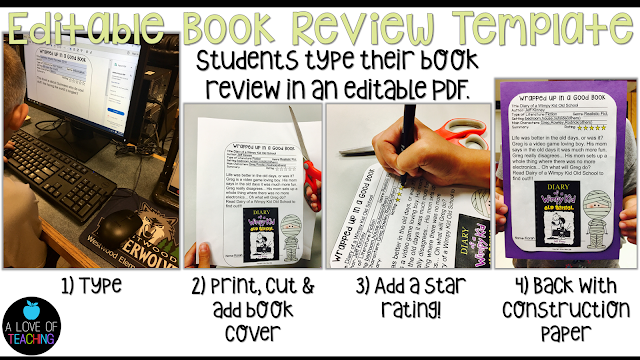 Students give their book a star rating by coloring in 1 to 5 stars (with 5 being the best). 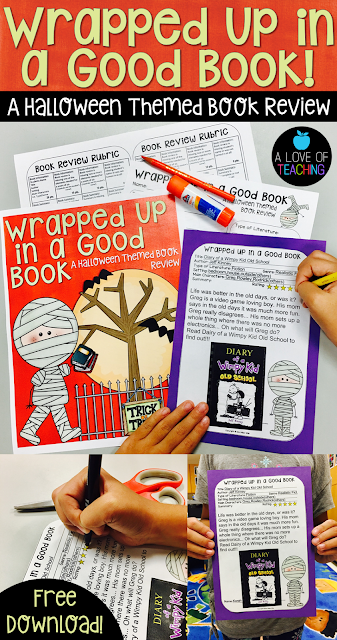 Hopefully, you can spice up book reviews in your classroom by incorporating this short seasonal writing activity into your October lesson plans. You will need to download the entire product from my store here. If you want to use the editable version also – click here.